There is a current upsurge of digital imaging in the medical field. With this trend increasing, many practices and doctors may ask if it is a worthy investment. Why pull away from what works? Will we really save money and time? What’s wrong with conventional analog radiography? Hopefully this post can answer some of those burning questions, especially for chiropractors and their patients, who utilize radiography more than most. Digital radiography is more efficient in terms of both workflow and cost. The technology used for digital x-ray detectors puts less pressure on technicians. Without the need to handle chemicals and film, images are acquired instantly, allowing doctors to focus more on patient care. Furthermore digital imaging will allow for easier integration with the existing systems in place at any given practice. Images are easily shared with specialists and other parties for diagnostic purposes. Digital methods are the fastest, and therefore the most convenient for patients. Maintenance cost must be factored into the decision to transition to digital imaging. It’s important to note that upfront costs for the digital technology will be more than an analog system. But, in the long term, maintaining and running the digital system will cost less. Projecting how much can be saved in the future is crucial. In terms of patient safety, digital radiography is the best choice because it exposes patients to the least amount of radiation possible, up to 40% of the amount found in analog methods. In summation, chiropractors and most other medical practices should strongly consider the transition to digital methods; they are overall more efficient, more cost effective, more convenient, and safer. 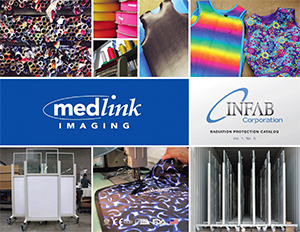 Medlink Imaging provides a wide range of digital imaging solutions and technology. This includes our innovative Dicomesh services, which offers a synchronized back-up and recovery platform. To learn more about our products and services, contact us here, or call us directly at 800.456.7800.